New data from a large European study by the University of Oxford shows men with a high body mass index (BMI) and waist circumference are at a greater risk for high-grade, aggressive prostate cancer and prostate-cancer death. The study examined data on over 140,000 men with a mean age of 52 years from eight different countries for 14 years. Information was gathered on height, BMI, and waist circumference to determine the risk of prostate cancer and prostate-cancer death. The follow-up discovered 7,022 cases of prostate cancer, 740 cases of high-grade prostate cancer and 931 prostate cancer deaths. 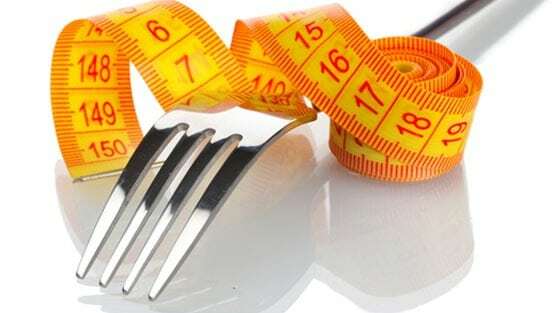 What the researchers found was a strong connection between waist circumference and BMI with a 10% increased risk of high-grade prostate cancer for every 5-kg/m2 increase in BMI and a 13% increased risk for every 10-cm increase in waist circumference. The study also showed prostate cancer death was increased by 14% for every 5-kg/m2 increase in BMI while every 10-cm increase in waist circumference was associated with an 18% increased risk for of fatal prostate cancer. Similar findings are shown in recent meta-analysis on data of 24 papers published between 1991 and 2015. Meta-analysis showed 15% increase in deaths from prostate cancer for every 5-kg/m2 increase in BMI. One unusual finding was that the overall risk of prostate cancer was significantly lower for men with a higher BMI than those in the lowest end of BMI. The researchers realized this was due to differences in incidence by cancer grade. Because of this it forced the researchers to divide the study in two between those who had high-grade prostate cancer and those who had low-grade prostate cancer. Previous data show that obese men, if diagnosed with prostate cancer, are at higher risk for developing a more aggressive prostate cancer. The recent European study results’ is in line with higher incidence of high grade prostate cancer and lower incidence of low grade prostate cancer. As a result, the study could not take into account the result for total prostate cancer risk, commenting on the overall incidence of prostate cancer in obese men. A recent study on the effect of BMI on PSA level has shown that increase in BMI is associated with decrease in levels of PSA. Level of PSA is generally checked for prostate cancer detection. Lower PSA levels in obese patients might lead to later diagnosis of prostate cancer, hence resulting in detection of disease at higher stages. Another hypothesis argues that lower testosterone level in obese men leads to selective survival of more aggressive cancerous cells which do not need testosterone for survival.